Approximately 10,000 Baby Boomers retire every day. Many are business owners, company leaders or key professionals. Percent of companies are simply not saleable or do not have a proper professional talent pipeline in place to continue success. Of the remaining 20% that are sold, 12% will not be sold at the original asking price. In many cases, far below the asking price. 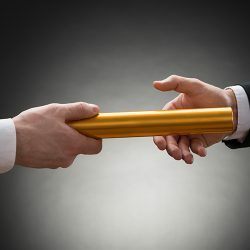 Succession Planning today is both transitional and transactional. In a successful succession plan, the business needs to be both transition ready (foster and move to new leadership) and transferable (having a high enterprise value). Approximately 10,000 Baby Boomers retire every day. Many are business owners, company leaders or key executives, which means that a glut of companies will be for sale or in search of qualified professional talent for many years to come as this generation continues to move into retirement. Sadly, it is estimated that 80% of these companies are simply not saleable or do not have a proper professional talent pipeline in place to continue success. Of the remaining 20% that are sold, 12% will be sold, but not at the original asking price. In many cases, they sell far below the asking price. BEST will collaborate closely with company leadership, legal and financial professionals to provide human capital strategies for a seamless succession of leadership and professional talent to keep your business running smoothly for many years into the future. We will identify with you what positions are in need of a talent pool before it is too late and help develop the professional talent bench, so these upcoming professionals are ready to take over in a seamless and highly productive manner.